As technology continues to evolve, Lennox will continue to look for new and better ways to provide comfort and at the same time protect the environment. After all, for more than 100 years, we’ve been the name to trust in home comfort, and we’ll continue to be the name to trust in manufacturing products that are friendlier to the environment. It’s only natural. Protecting the environment should not be viewed as a legal obligation, but as a guideline for conducting business. At Lennox, we are very serious about our responsibility to design, engineer, and manufacture products that enhance our lives without compromising our natural surroundings. Are you and your family breathing clean, fresh air? 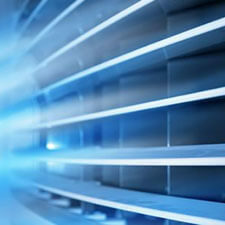 Did you know the air inside your house can be two to five times more polluted than the air outside. When we come to your home we’ll inspect your air ducts and, using powerful Rotobrush vacuums, we’ll rid them of dust, dander, and pollen. For fast reliable service from a company you can trust, call Trisko Heating & Plumbing in Sauk Centre and get cleaner, more breathable air toady! Request an appointment. Homes today are well insulated to deliver greater energy savings and comfort. But this also means that millions of allergy-aggravating particles like dust, pollen, and pet dander can get trapped and circulate through your home’s air. 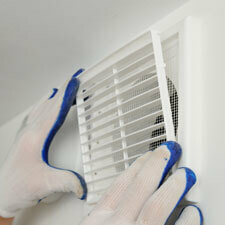 No home is immune to indoor air quality problems. Luckily, Lennox has an innovative solution that will change your indoor environment forever—leaving you with cleaner and healthier air. 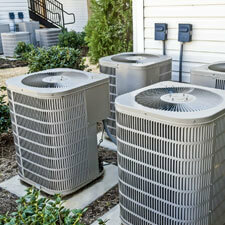 Need help deciding what Indoor Air Quality system is right for you? 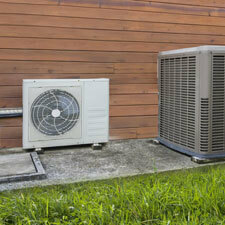 Give us a call at 320-352-2168, and we’ll help find a system that works for your home needs. Check out the following Trisko recommended systems or visit the Lennox website for more information. Lennox Healthy Climate® HC10 Media Air Cleaner—Whole Home Allergen Control. The Healthy Climate® HC10 prevents up to 85 percent of dust, dirt, and other particles from recirculating through your home’s air. 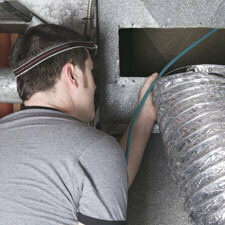 It installs easily into your ductwork to deliver fresher cleaner air through your whole home. Lennox Healthy Climate® HEPA Filtration System—Lennox Healthy Climate® HEPA bypass filtration systems are 99.97 percent effective at removing particles that can’t be stopped effectively with ordinary filtering media. In fact, HEPA filtration is so effective, you’ll find the same technology used in hospital operating rooms and science labs across the country. Lennox Healthy Climate® PureAir System—The PureAir™ air purification system reduces concentrations of pollutants through a combination of hospital-grade filtration and a process called photocatalytic oxidation. This system not only destroys odors and vapors 20 percent faster, but also absorbs ½ the initial concentrations immediately! Lennox Healthy Climate® Heat Recovery Ventilators (HRVs) and Energy Recovery Ventilators (ERVs)—Healthy Climate® ERVs and HRVs prevent the buildup of stale air, pollutants, and excessive moisture by moving stale air outside, bringing fresh air inside, and transferring either heat or moisture in the process to preserve your comfort. 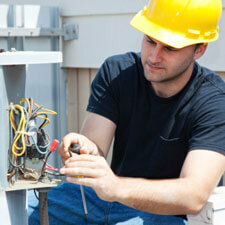 We do new construction and remodels, tests and inspections, and repairs for residential and commercial customers. For more information about specific construction, remodels, tests, inspections, or repairs, please don’t hesitate to contact us. Because we care about our customers, we provide a 24/7 on-call service in case of emergencies. 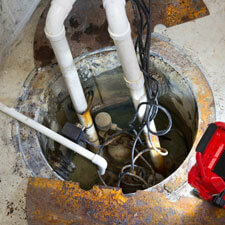 We understand that sometimes people require rush jobs—such as when a furnace breaks down in the middle of winter. We are prepared to come do repairs immediately! We are a company that you can rely on.